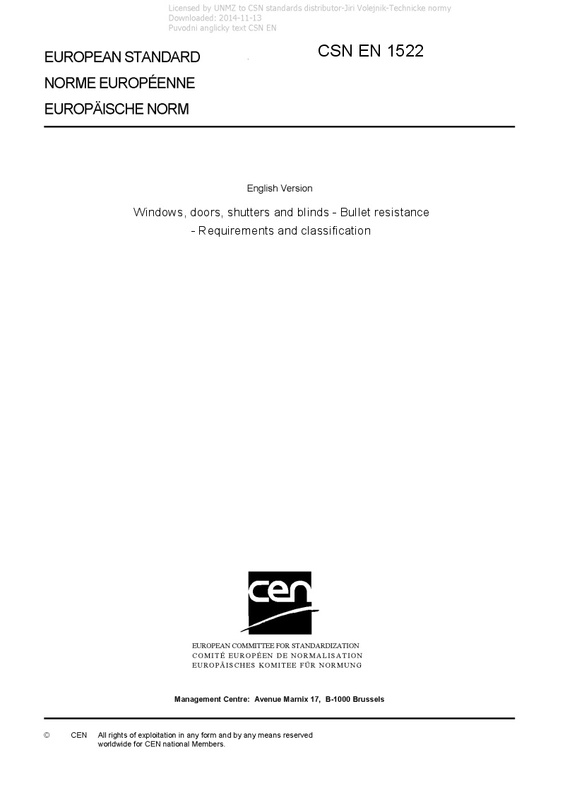 EN 1522 Windows, doors, shutters and blinds - Bullet resistance - Requirements and classification - This standard specifies the requirements and classification that windows, doors, shutters and blinds must satisfy when tested in accordance with prEN 1523. This standard is applicable to attacks by hand guns, rifles and shotguns on windows, doors, shutters and blinds complete with their frames and infills, for use in both internal an external locations in buildings. Shutters and blinds should be tested separately and not in conjunction with a window or door, in order to achieve classification in terms of bullet resistance.